High Court of Gujarat publishes Gujarat High Court Result 2019 on the official website. HC OJAS Result can be checked online only. The qualified list will be drawn on the basis of performance of the candidate in the written examination and main exam/ interview. HC Result of Prelim Exam, Main Exam, Computer Test & Interview will be announced separately by the High Court of Gujarat. The final selection list will be published on the official website. Candidates are able to check their HC OJAS result on the official website or on this page. 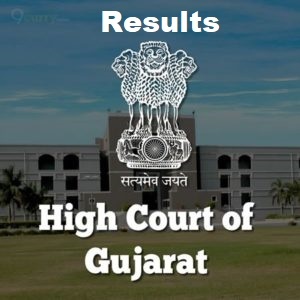 Direct link to check the Gujarat High Court Result 2019 is posted on this page. After completing the exam everyone has the interest to check out the results so, for the reason, we are making this article to gove the Update regarding this High Court of Gujarat Results which is released today onwards for the Seekers. The candidates are advised to keep visiting HC OJAS page updates regarding hc ojas bharti, hc ojas call letter, and examination results. All the results declared in the last are as follows. High Court of Gujarat has uploaded List of Candidates who have been shortlisted and found eligible, to be called for verification of documents, etc., for the purpose of preparation of Select List / Wait List pursuant to the vacancies notified in the detailed advertisement dated 30/08/2018, for the post of Post of Hamal, Chowkidar, Liftman & Peon on the establishment of the High Court of Gujarat. List of Candidates who have secured MINIMUM 50% OR MORE MARKS in Written Test (Objective Type-MCQs) i.e.Computer Based Online Examination held on 20/01/2019 (Sunday), for Recruitment to the post of LEGAL ASSISTANT on the establishment of the High Court of Gujarat. Go to the Gujarat High Court’s official website. On the homepage access the result portal by clicking on the link ‘Result’ for the Gujarat High Court Recruitment 2019. Now the PDF File will open in a new window. Find your result now by your number or name. Save the PDF file for further use. Candidates can bookmark our website (www.ojas-gujarat.co.in) by pressing Ctrl+D for getting all new updates regarding all exams, Admit Cards, Answer Key and Results. If there is any kind of confusion, you can comment in the comment box below. The problem will be solved by us as quickly as possible. Thanks!!! Hiral Patel is the Educational Blogger of Ojas-gujarat.co.in. She provides you First & Fast Updates on Govt Jobs, Exam, Recruitment, Admit Card, Answer Key, Results and Study Materials. This is OJAS Gujarat OJAS Gujarat is true OJAS Updates. It's an Educational website that provides the latest updates on Jobs.